In 1852, Americans Charles Goodyear and Hiram Hutchinson met. Goodyear had developed and patented a process called vulcanization, which cures rubber. Hutchinson purchased the patent and applied it to the manufacture of rubber boots for farmers in Europe, while Goodyear used the process to manufacture tires. Hutchinson called his company Aigle, and in four years it was producing 14,000 pairs a day by hand. 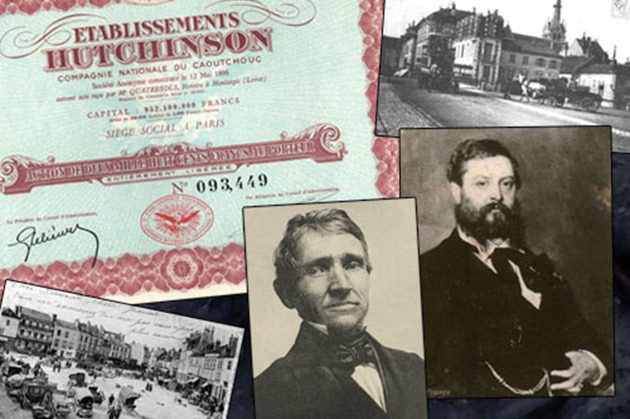 Hutchinson acquired the former Royal Stationery Langlée, located in Châlette ­sur­ Loing (Loiret), for three million gold francs. The buildings housing the stationery had been built in the 18th century, on the Chamberlain property of the Duke of Orleans. Rubber used by Hutchinson then and now comes from the sap of the havea tree, typically found on the Ivory Coast, and is actually a natural product, contrary to general knowledge. 1. Nokia was once the largest manufacturer of rubber boots (Wellies) in the world. The mobile phone giant recently sold its footwear division, stating it was the biggest rubber boot manufacturer in Western Europe at the time. 2. Hiram Hutchinson was also vice­ consul of the United States in the then British colony of Singapore. Upon his return to the States, Hutchinson continued to focus on the uses of rubber, which he envisioned had unlimited industrial development. 3. Hutchinson’s heirs sold the company 29 years after his death in 1869. The Hutchinson Group was acquired by petroleum company Total in 1974. The historic Châlette ­sur­ Loing plant is still active, and once employed a teenage Deng Xiaoping, the future prime minister of China. 4. 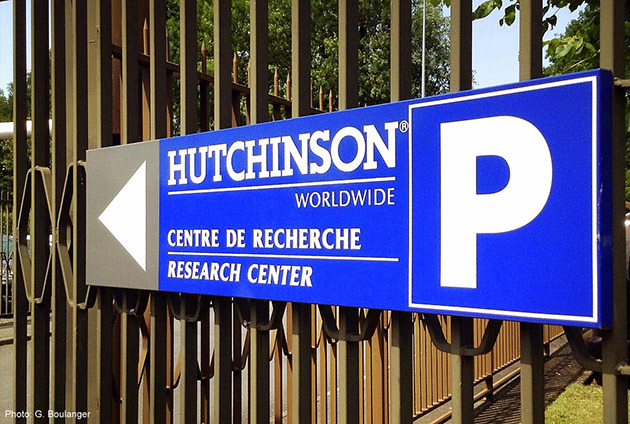 Hutchinson Worldwide is a now major global corporation specializing in aerospace, automotive, and telecommunications, producing 21st century rubber products for government and consumer markets. Almost 31,000 employees work out of 95 sites in 23 countries across Europe, the Americas and Asia. 5. Frenchmen Louison Bobet and Jacques Anquetil won the Tour de France on Hutchinson tires in the 1950s, and the world’s first tubeless road tire was introduced by Hutchinson in 2006, after five years of development. Hutchinson remains one of the oldest French manufacturers, and one of the only bicycle tire companies still making every tire by hand in its own national factory.